Remaining artifacts from the miniature colony. Colony "A" module, bar and shack. 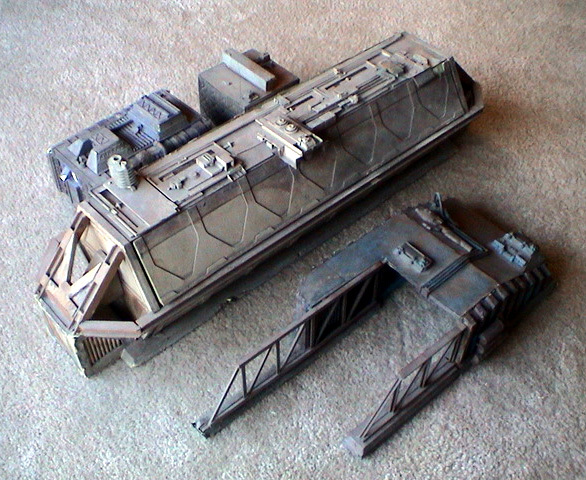 These models are seen on the video monitors in the Drop-Ship flyover sequence. 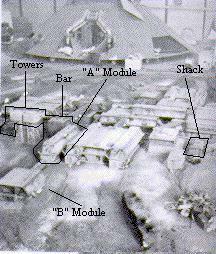 The smaller of the models pictured, the tower and shack models are very visible on screen. For an idea of scale, the 1/50th scale vehicles that are shown on the LD and DVD are slightly larger than a standard Yale key. Photo from Cinefex magazine, colony viewed from the west side.